There’s no point to living life unless you make history and the best way to make history is to help others. The ladies of Aberdeen’s World War II Pheasant Canteen did just this, and they continue to make history today. During World War II, the women of Aberdeen came together to feed soldiers passing through Aberdeen on the railway who often didn’t have time to get any food during the stop. Eventually, the generous volunteers began serving their famous pheasant sandwiches. Now, a little over 70 years later, the women of the Canteen want to make sure their story lives on for future generations. In an effort to make this happen, the women of the Canteen developed a video and historical display. 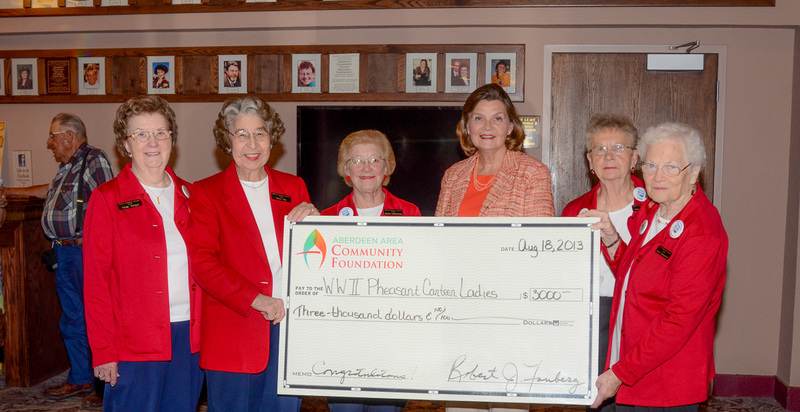 To help the Canteen’s efforts in educating the children, community members and visitors of Aberdeen, AACF donated $3,000 to help produce the Pheasant Canteen legacy video. The video has been donated to local area schools so students can learn about the Canteen’s contribution during the war.